Once in a lifetime opportunity to call this incredible estate your home, as if you'd be living on your own private nature preserve. 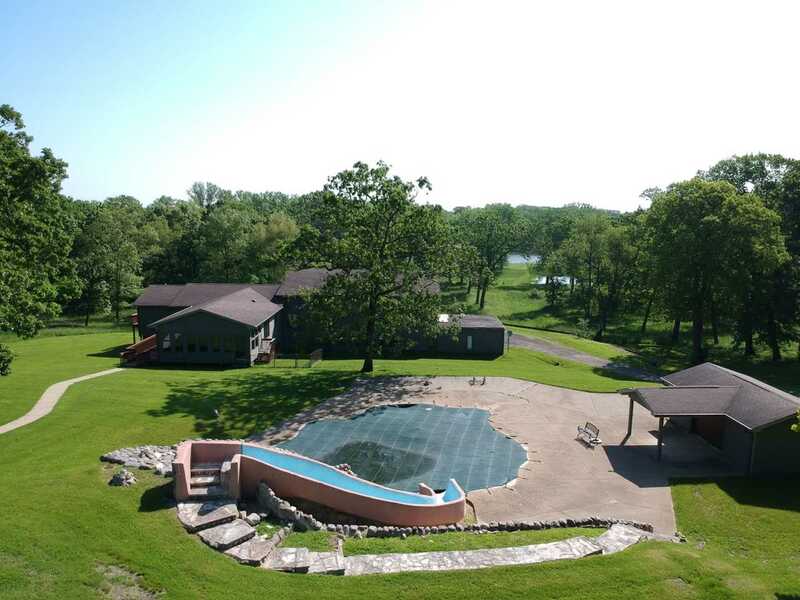 Over 8000 sq ft of finished living space in this massive, open, & sprawling hillside ranch on over 16 acres with nearly 700' feet of Fox River frontage! Incredible views of the river through the towering oaks from almost every room of the house, by design. Entertaining at the pool couldn't be more fun with it's hot tub, fountain, waterslide, & grotto! Beautifully updated kitchen offers 42" cabs, high end appliances, & an abundance of granite counterspace. In-law arrangement or guest suite on the main level with private bath, balcony, & it's own kitchenette. Walk-out lower level supports a huge wide open space for an incredible rec room, exercise area, & is roughed in for a theatre as well. Garage space for 6 cars, 2 attached & 4 detached. Electric is run out to the river to support your gazebo & boat lift! You'll never see anything like this again. Directions: RT. 176 TO BUHL (CURVES TO LEFT), CONTINUE TO SILVER CREEK TRAIL R TO 2ND DRIVE ON LEFT. I was searching for a Property and found this listing (MLS #10172869). I would like to schedule a showing for 1313 Behan Rd Crystal Lake, IL 60014. Thank you! I was searching for a Property and found this listing (MLS #10172869). Please send me more information regarding 1313 Behan Rd Crystal Lake, IL 60014. Thank you!